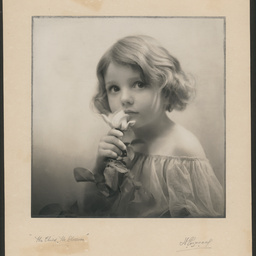 Photographic prints taken by Harold Cazneaux. 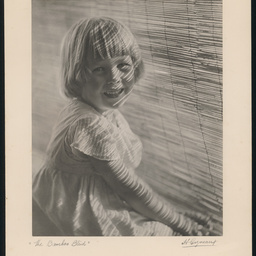 Portrait of Beryl Cazneaux, the daughter of the photographer. A collection of 12 photographs taken by Harold Cazneaux in 1935 (about October). 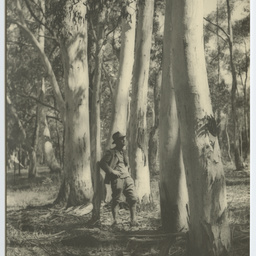 They feature Hans Heysen and his family at 'The Cedars', Harhndorf (Ambleside), together with photos of the house and garden. 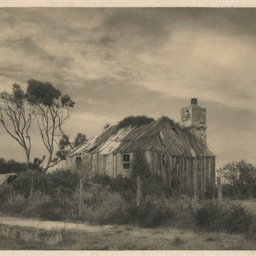 Derelict cottage photographed near Robe in South Australia. 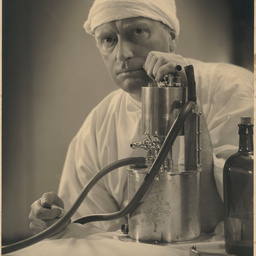 Photographic portrait of Anaesthetist, Dr Frederick Bridges. 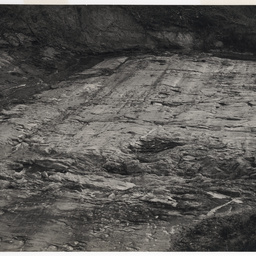 Photograph of glaciated pavement near Inman Valley in South Australia. 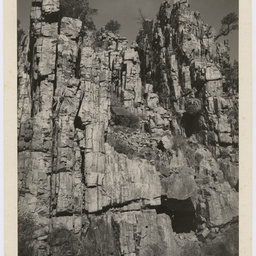 Photographic view of a sheer rock face, possibly Warren Gorge, in the Flinders Ranges of South Australia. 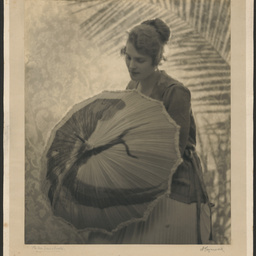 Photographic print of woman holding a parasol. 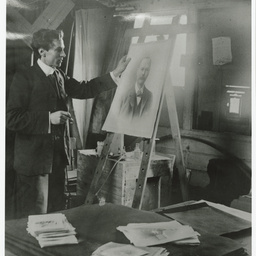 Portrait of South Australian born artist Gayfield Shaw with a mask. 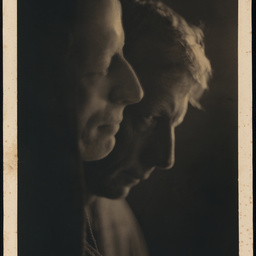 This print was exhibited at the London Salon of Photography, 1924, and the Fifth International Exhibition of the Pictorial Photographic Society of San Francisco, 1928. 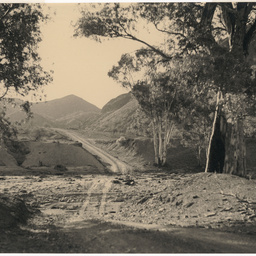 Photographic print showing the road to the Flinders Ranges in South Australia. Portrait of Lorne Campbell, named 'Angela' by Cazneaux. 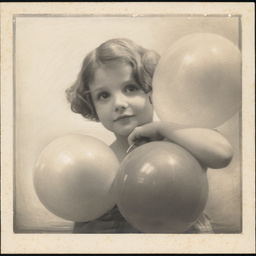 Portrait of Lorne Campbell, named 'Angela' by Cazneaux, holding three balloons. Delegates to the Second Interstate Conference of Harbor Authorities, and their partners. 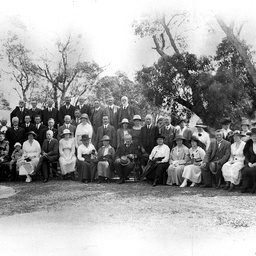 The Conference was held at the offices of the Sydney Harbor Trust Commissioners, 29 March 1920. 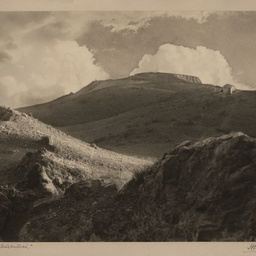 Print of Iron Knob landscape. 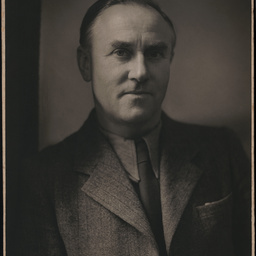 Portrait of South Australian artist, Hans Heysen. 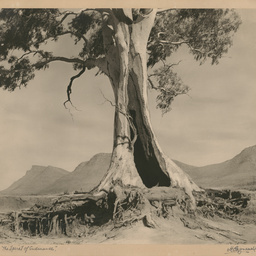 Photograph of an Australian River Red Gum Eucalyptus tree at Wilpena Pound in the Flinders Ranges. 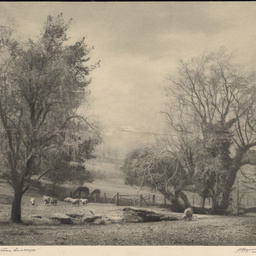 Photograph of a rural scene of sheep and horses in a paddock. 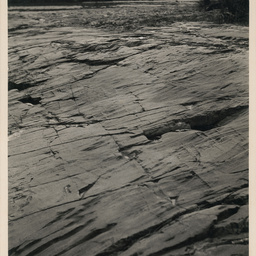 Photographic print showing view of South Australian coastline looking north from the Second Valley jetty. 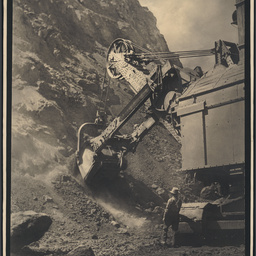 Man standing beside a mechanical shovel digging into a mountain of iron, at B.H.P. Ltd, Iron Knob, South Australia. 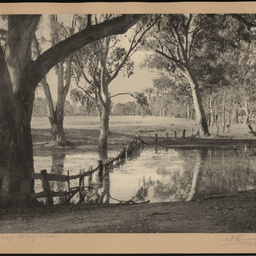 Photograph of rural scene with gum trees and a small billabong near Albury, New South Wales. 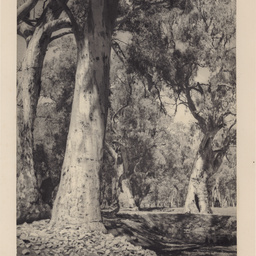 Photographic view of large Gum trees in the Flinders Ranges of South Australia. 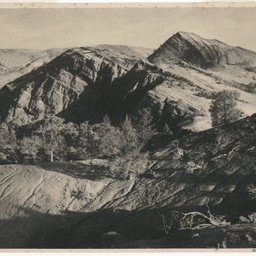 Photographic print showing glaciated pavement in the Inman Valley of South Australia. 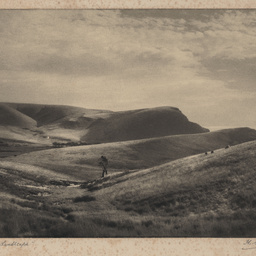 Print of the hills above Rapid Bay in South Australia. Photographic view of the Flinders Ranges in South Australia. 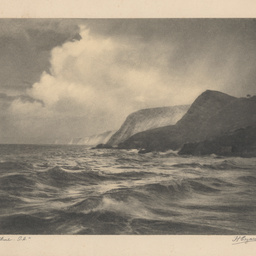 Photographic view of the coastline near Robe, South Australia, showing the obelisk at Cape Dombey. 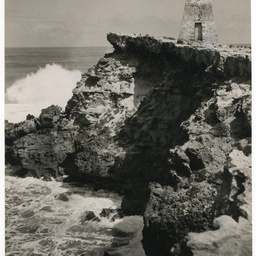 The photograph is captioned 'Old Beacon, Robe'. 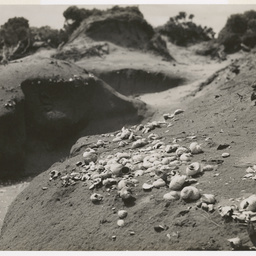 Photographic print showing soil erosion near Robe, South Australia, and sea shells 40 to 60 feet above sea level. 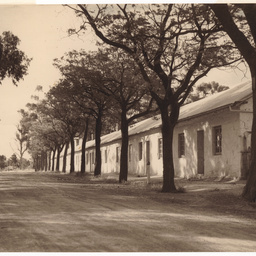 Photographic print of Paxton Square Cottages, Burra. The title has been taken from the text on the back of the print. 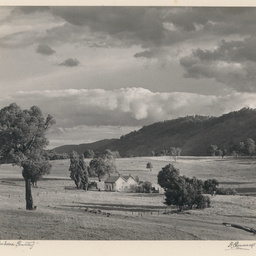 Photographic print of a rural scene with a cottage near Canberra, A.C.T. 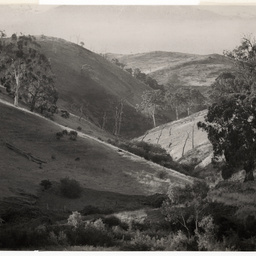 Photographic print of a rural scene in the Adelaide Hills of South Australia.